On May 31, 2012, the Center for Constitutional Rights (CCR) filed a federal lawsuit on behalf of prisoners at Pelican Bay State Prison who have spent between 10 and 28 years in solitary confinement. On May 31, 2012, the Center for Constitutional Rights (CCR) filed a federal lawsuit on behalf of prisoners at Pelican Bay State Prison who have spent between 10 and 28 years in solitary confinement. The legal action is part of a larger movement to reform inhumane conditions in California prisons Security Housing Units (SHU), a movement sparked and dramatized by a 2011 hunger strike by thousands of SHU prisoners; the named plaintiffs include several leaders and participants from the hunger strike. 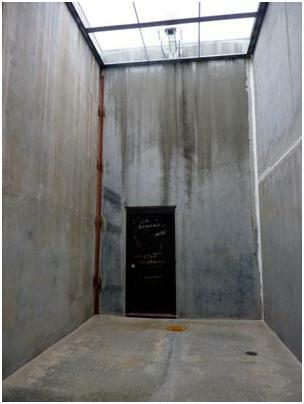 The class action suit, which is being jointly filed by CCR and several advocate and legal organizations in California, alleges that prolonged solitary confinement violates Eight Amendment prohibitions against cruel and unusual punishment, and that the absence of meaningful review for SHU placement violates the prisoners right to due process. SHU prisoners spent 22 ½ to 24 hours every day in a cramped, concrete, windowless cell. They are denied telephone calls, contact visits, and vocational, recreational or educational programming. Food is often rotten and barely edible, and medical care is frequently withheld. More than 500 Pelican Bay SHU prisoners have been isolated under these devastating conditions for over 10 years, more than 200 of them for over 15 years; and 78 have been isolated in the SHU for more than 20 years. This suit asserts that prolonged confinement under these conditions has caused harmful and predictable psychological deterioration among SHU prisoners. Solitary confinement for as little as 15 days is now widely recognized to cause lasting psychological damage to human beings and is analyzed under international law as torture. Additionally, the suit alleges that SHU prisoners are denied any meaningful review of their SHU placement, rendering their isolation effectively permanent. SHU assignment is an administrative act, condemning prisoners to a prison within a prison; it is not part of a persons court-ordered sentence. California, alone among all fifty states and most other jurisdictions in the world, imposes extremely prolonged solitary confinement based merely on a prisoners alleged association with a prison gang. Gang affiliation is assessed without considering whether a prisoner has ever undertaken an act on behalf of a gang or whether he is  or ever was  actually involved in gang activity. Moreover, SHU assignments disproportionately affect Latinos. The percentage of Latino prisoners at the Pelican Bay SHU was 85% in 2011. The only way out of SHU isolation is to debrief, to inform on other prisoners, placing those who do so and their families in significant danger of retaliation and providing those who are unable to debrief effectively no way out of SHU isolation. Legal Services for Prisoners with Children, California Prison Focus, Siegel & Yee, and the Law Offices of Charles Carbone are co-counsel on the case.